At the 2013 International Society for Extracellular Vesicles (ISEV) conference in Boston in mid-April, Philip Askenase, M.D., Professor of Medicine and Pathology, Section of Allergy and Immunology, Yale University School of Medicine, outlined work, done in full collaboration with scientists from the Jaggellonian University College of Medicine in Krakow, Poland, led by Krzysztal Bryniarski, Ph.D., that documented the first example of T-cell regulation by inhibitory miRNA passing from cell to cell via exosomes coated with antigen-specific antibody light chains and acting antigen-specifically in vivo in a systemic endocrine manner. With sequencing, Dr. Askenase’s group was able to identify the inhibitory miRNA as miRNA-150. Dr. Askenase said that, “this work offers new and novel approaches of antigen-specific T-cell regulation via transfer of genetic instructions to achieve entirely unique and new translational possibilities for the therapy of immunological and other diseases, including cancers. Exosomes can be activated for surface coating with the antibody of choice and easily transfected with the dsRNA of choice. 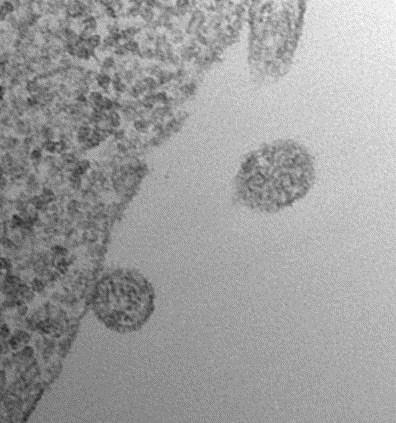 The result is the construction of specifically tailored therapeutic exosomes as natural physiologic nanoparticles carrying miRNA of choice, delivered antigen-specifically to targeted cells via an antigen-specific antibody coating. This is simultaneous immunologic and genetic therapy with natural nanovesicles, and thus is termed nano immunogenetic therapy. These findings have great translational possibilities for treatment of various human diseases.” Dr. Askenase’s group’s exciting new work was published online on July 3, 2013 in the Journal of Allergy and Clinical Immunology for July 8, 2013. Dr.